I would really like to have at least one red flesh variety so if Hirado Butan is not hardy enough please recommend one that would be. Too cold where you are without lots of cold protection. Really? Ive seen some sites list them as being hardy to zone 8b. Wanted to make sure though. Quite sad to hear that. Would valentine pummelo and cocktail be my best bet since they have mandarin in their heritage? I plan on using Christmas tree lights plus tarps for the tree(s) when necessary. The more I look the more i dont think i want a true grapefruit but will start with the valentine pummelo and the cocktail mandelo. Thanks again! 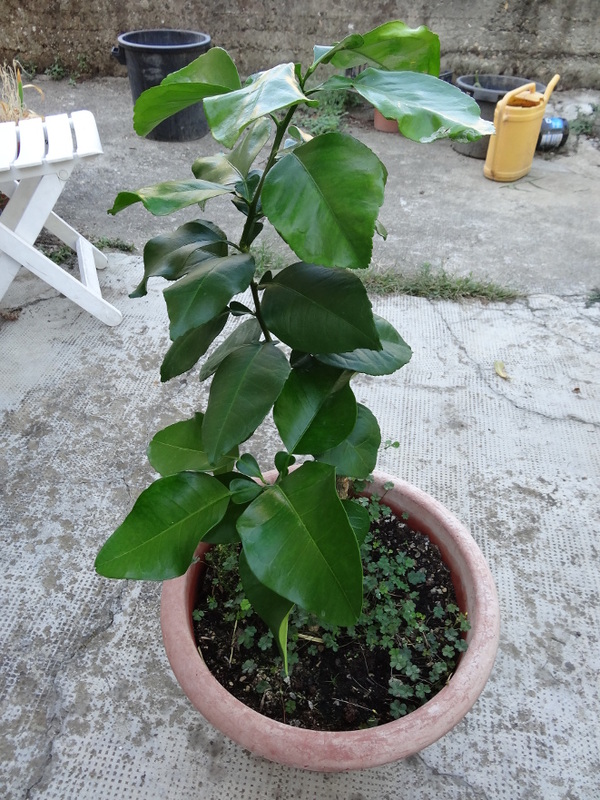 Already have a miewa kumquat , ponkan mandarin and a Republic of Texas orange tree. And understand that kumquats, mandarins, and their hybrids are typically the most cold hardy citrus with oddball exceptions (rangpur lime and yuzu come to mind). However the purpose of this threat was to establish which pummelo hybrids would be best to attempt to grow where I am ( fully understanding the extra care necessary). So far it would seem from my research that Valentine Pummelo, Cocktail "Grapefruit" and perhaps bloomsweet grapefruit would be my best bets since they have mandarin parentage which should provide a tad more cold hardiness then non mandarin heritage variations. A word of caution. In my understanding, ponkan is one of the most tropical mandarins. I am in lower 8B and have Bloomsweet still ripe on the tree since there have been no freezes this year that could ruin the fruit. The sweet, rich, perfumey smell around the tree is wonderful as the fruit dry a bit. If you are a "traveler' interested in sampling some of them, there is a scion exchange next Saturday AM at Caldwell Nursery in Rosenberg, TX (southwest of Houston). There usually are some folks from Austin who drive out here for the meetings, and the sponsor is Texas Rare Fruit Growers, an association started by Ed Self. The mature Bloomsweet has survived a brief 14 degree event and made it through like a champ. So if you like somewhat mild/sweet g/f with a lemon flavor, it is a good one. Yes, since starting this thread I have learned more about the Bloomsweet and I am pretty sure I am going to grab a Bloomsweet tree and a Cocktail Grapefruit tree and leave it at that.........for now. A couple winters ago my owari satsuma made it through 17 degrees or lower without any damage to the branches or leaves and the meyer lemon made it through the same temps with only leaf loss and damage to fresh growth. Good info CountryBoy but.........neither of those are Grapefruits or grapefruit hybrids. Hey millet do you have by the chance any data on the total accumulated heat needed for grapefruits? The temperatures you cite are usual at my place but here they last just 2-3 months, and i'm pretty sure that this isn't the case in US. But to have a better picture of what happens i thing that accumulated heat can give a better idea. Grapefruit are definitely possible in 8B - I know of several well established abandoned trees scattered around north Florida and south Georgia, including, I believe, Duncan, Marsh, Ruby Red, and perhaps an Oroblanco (pale yellow flesh, relatively few seeds, thick rind, large fruit, with the smallest the size of large commercial grapefruit and the largest almost the size of a standard pummelo, but based on its size -35 feet- it seems like it would have had to have been planted right when Oroblanco was first released in California). I harvest fruit by the suitcase (literally, collecting them in a duffle bag) off these trees every year. 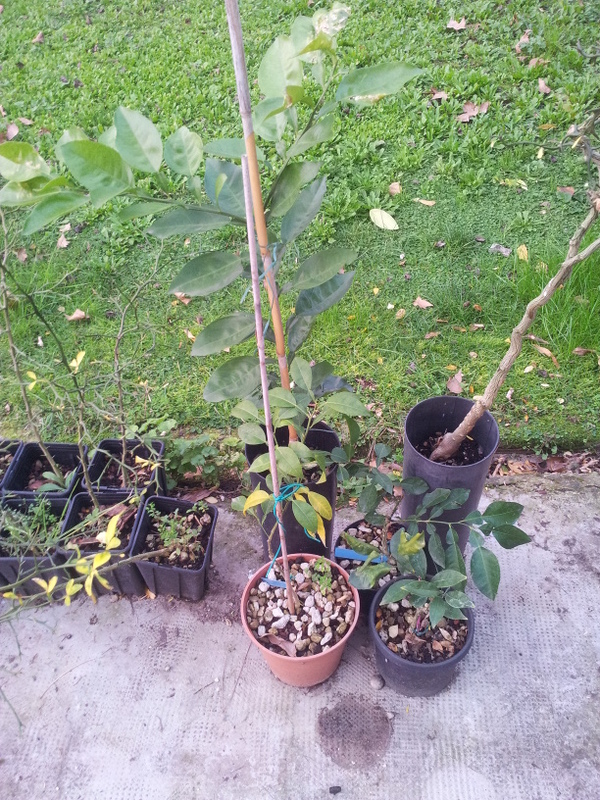 I also have trees I planted, both in a 9A-mircoclimate (in town) and in a solidly 8B area outside of town. For white grapefruit, I would recommend Duncan (or what I am assuming is Duncan - very pale flesh, very seedy, excellent flavor - fairly intense, but lightly sweet and not at all bitter). For red grapefruit, I would recommend Flame or Rio Red - very good, sweet, dark red grapefruit, without the bitterness of Ruby Red, for instance. I've only had a few fruit that were from a tree I could positively identify as Flame, but they seem to have a bit more acid tang than Rio does. Pummelos are certainly less tolerant of cold, but there is the one tree I mentioned earlier that I really believe is probably Oroblanco that is 35-feet tall, never receives care, and seems to be almost bulletproof. 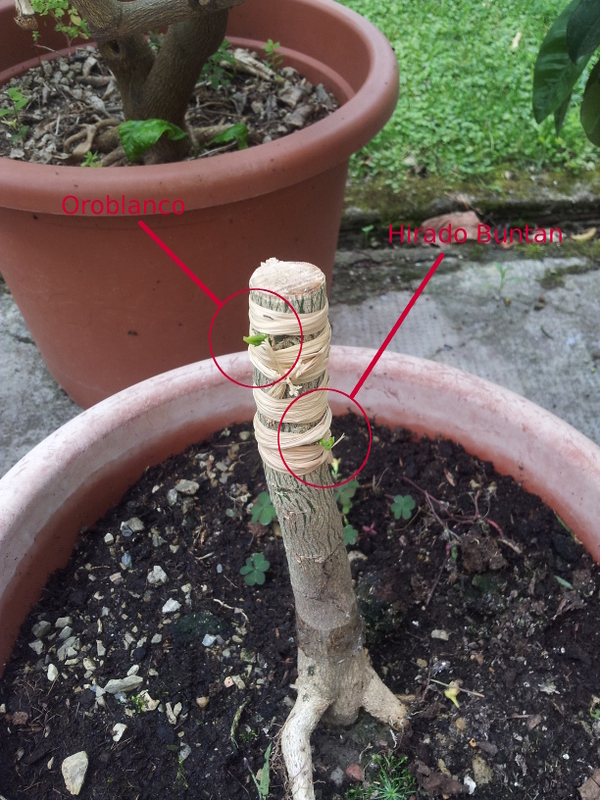 My in-town pummelos have never needed protection, and my out-of-town Hirado Buntan and Oroblanco trees survived one of the worst winters in recent memory (though with significant damage) and came through last year's mild winter with only very mild leaf loss. No fruit yet (two years in-ground - the Hirado set some fruit but aborted them quickly in a brief dry spell we had this spring), but I am hoping that if we get a mild winter this year, the Hirado will fruit. Chandler is a good red pummelo - I probably prefer it to Hirado - but I have not had the chance to try a Valentine or Cocktail. I've never had a pummelo I didn't like, though. I have s Rio Red that went a whole night without its space heater on with low of 19 degrees, was covered in 4 mil plastic with 32 gal water barrel next to tree, and only suffered some leaf loss, but did not flower the next spring. I've learned that if good citrus, not trifoliate or Ichang hybrids, defoliate, they will not bloom/produce the next spring. I will attempt, next spring with a in-ground planting of Hirado Buntan and Oroblanco/Sweetie grafted on the same Flying Dragon rootstock. I hope at least one of them will survive and to be able to show/clarify if any difference in hardiness exists among those plants. Hopefully at least the hirado buntan should survive. I hope to be able to cover effectively the graft point even in the case of snow, that's why i grafted so low on the stem. without even losing a leaf. And the plant wasn't even close to a building. I guess that the fact that it was a plant in a sheltered location covered from northern winds could have helped, but still. I'm not sure if that's just dumb luck from his side, but a this point i'm willing to experiment with several citrus and see if i can manage to grow some too. Since the original post I have acquired a Bloomsweet "grapefuit" aka Kinkoji and next year plan to pick up a cocktail grapefruit as well. My Bloomsweet is doing beautifully till now. 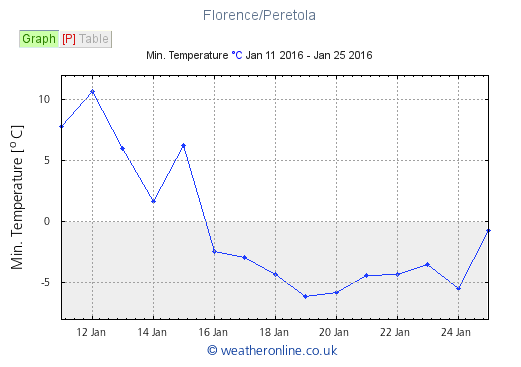 On PTFD, north exposure, it is dealing beautifully with cold snaps we had till now (Temps ranging from 30 to 24F). It is the biggest one. My main concern is, if it remains so vigorous probably the place where i though it could be planted will be too small. I hoped to have a plant no taller than 2,5/3mt (8-10ft max).